Groysman is eager to take a look at the income statements of populist politicians. Prime Minister Volodymyr Groysman criticized the work of the Verkhovna Rada deputies. 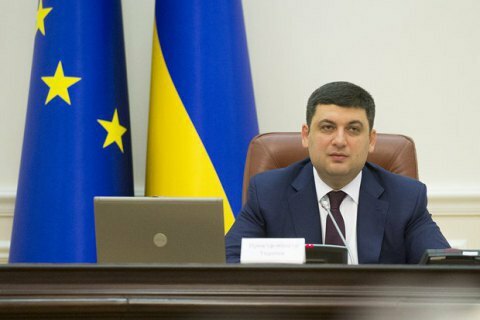 At a Cabinet meeting on 1 June, Groysman expressed indignation at the fact that the bill reducing terms of registration and certification of medicines has been hardly adopted by the parliament. He accused populist factions of going through the motions during the vote. "Take a look at the number of votes that their factions give. […] They did not want to vote this bill, blocked it. From the podium, they say they love Ukrainians but when it comes to take the right decisions, they pull their cards out. It's a policy of double, triple standards. They use the high parliamentary rostrum to discredit everything," the premier said indignantly. Groysman said he was looking forward to see the electronic income declarations of populist politicians. "Lies have for decades been a norm of their lives. […] I cannot wait to see if these populists have properties abroad, and whether they have anything to do with those shady undeclared offshore companies," Groysman said. The prime minister also expressed dissatisfaction about some deputies having too much television exposure. "24 hours a day they can be seen on TV, like they have no other work to do. I support the idea of freedom of speech, that everything should be open and transparent etc., but spending too much time in public space leaves too little time for work," he said. The bill, mentioned by Groysman, garnered the support of five of 19 members of Fatherland, while the Radical Party in its entirety did not give a single vote. Of the 142 lawmakers of the BPP only 106 voted for the bill.